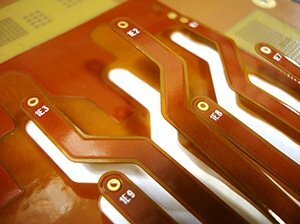 Micron Laser Technology’s precision PCB routing or contouring services are provided for both rigid and flexible circuit board manufacturers. Laser routing is ideal for close tolerance flexible circuits (FPC) before investing in expensive punch tooling (e.g. small form-fit devices or ZIF connectors). Laser routing of rigid circuits or depaneling services are also available, but some material stack-ups and tolerance limitations may exist. Please contact our sales staff to discuss your rigid routing requirements. Whether you PCB application is single-sided, double-sided, multi-layer, or rigid, MLT’s laser routing processes are configured for same day or next day turns for most applications for prototype quantities to highest volume levels.